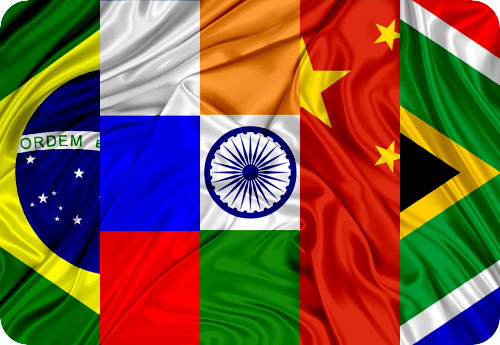 The statistics data series of the BRICS Countries are the result of annual joint efforts of the National Statistical Offices of Brazil, Russia, India, China and South Africa since 2010 to disseminate several social and economic data statistics about these countries. Brazil is the host of the Sixth BRICS Summit and responsible to implement the activities of the Action Plan of the group for 2014-2015 period. Therefore the Brazilian Institute of Geography and Statistics (IBGE) was responsible to development a collaborative system to disseminate the statistics of the BRICS based in the contents of the Joint Statistical Publication of the BRICS. This work is a challenge and each year the BRICS Countries get advances in the project to achieve its goal which is the harmonization of statistical information about the group. The content of the system presents fifteen themes: 1) General Information, Economic and Social Indicators Comparison of BRICS Countries; 2) Population; 3) Economically Active Population; 4) National Accounts; 5) Price Indices; 6) People's Living Standard; 7) Resources and Environment; 8) Industry; 9) Energy; 10) Agriculture, Forestry, Animal Husbandry and Fishery; 11) Transport; 12) Information Society; 13) Finance; 14) External Economic Relations; 15) Tourism.